Fundraising is an important aspect of all non-profit organizations. If we break our annual tuition down to an hourly rate, our students pay about $12 per hour of quality instruction; a rate unmatched by any comparable institution. Additional enrollees within the same family pay even less. This rate is sustainable only because of generous voluntary contributions, all the work that is done by volunteers, and fundraising. At the beginning of each school year, the WH GSC Administration Team determines fundraising priorities and goals, solicits volunteers to run the fundraisers, and monitors efforts. Through our local fundraising efforts, West Hartford GSC, is able to afford items that are not supplied by tuition or corporate fundraising. Our current goals include improving the WiFi at FBC and purchasing the equipment to facilitate AATG testing in January and April. If you have any questions, a fundraising idea, or would like to contribute time, talent, or treasure, toward GSC’s fundraising goals, please see Gail McCloud or Gail Zimmermann. 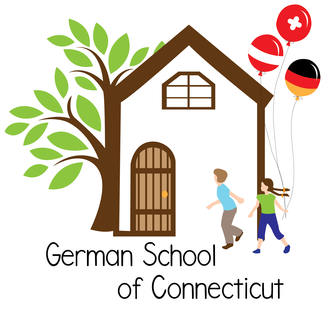 Every year, an important major corporate fundraising campaign, the Annual Fund, is conducted by the German School of CT, Inc. This effort supplements many of the corporate functions necessary for both Stamford and West Hartford schools, including teachers’ salaries, insurance, communications, advertising, and rent. To be able to maintain and develop academic performance, we also have to fund expenses like teacher education, learning materials, operational equipment, and general supplies. Amazon Affiliates program is also a corporate effort which benefits both schools. Fundraising - Box Tops for Education - One of the easiest ways to volunteer! October submission is done. Need someone for February and next year. Contact Julie S. - October and February tasks. Contact Julie S. - December to May task. Fundraising - New Ideas - Spend as much or as little time as you can. This can be something simple that makes $$ for the school. Contact Gail M. - Suggest a fundraiser, pitch it, run with it.